Sandals Impliments Changes To Their Sandals Select Guest (SSG) Point Program. 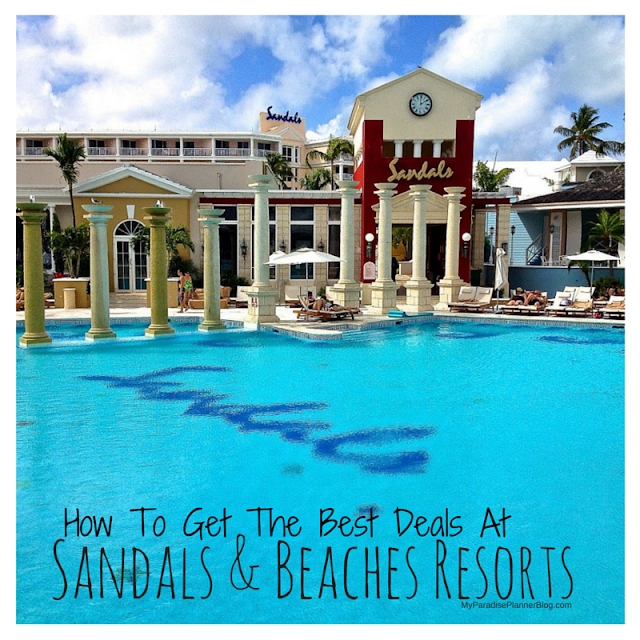 Sandals Resort's & Beaches Resort's are excellent about rewarding their past guests with promotions and points earned on previous stays. Any first-time guest at Sandals or Beaches Resort is welcome to sign up for the FREE Sandals Select Guest program (SSG) and earn points on their stays to use as credit towards their next stay! For those already familiar with the SSG program, you will soon find a slight change in the way points will be earned. Today, Sandals announced to it's top specialists that Effective November 15, 2013, Sandals Select Points will be calculated on the room NET rate paid, not the rack rate. Room NET rate paid equals Gross Rate minus Promotions (% and Free Nights). The Net Rate does not include Air Credit/Land Credit, SSG Points or Commission. Sandals has also drafted some FAQs for further clarification. § How do you calculate SSG points now? o SSG points prior to November 15 will be calculated based off of the rack rate. § How will you calculate SSG points beginning November 15? o SSG Points will be calculated on room net paid which equals the gross rate minus promotions. § Does an air credit reduce the amount of SSG points earned? o No, an air credit does not reduce the amount of SSG points earned. § What if I use SSG points to reduce the promotional rate paid, do I receive less SSG points? o No, SSG points applied to a reservation to reduce the promotional rate paid are not part of the calculation and do not reduce the amount of SSG points earned. § What if I am an SSG member with a booking I made before November 15 but I do not travel until after the change goes into effect? o For SSG bookings made before November 15 for travel after November 15, points earned will be based on the rack rate. § What if I am not an SSG member before November 15 and I make a booking after November 15? o These types of bookings will earn points based on the new system. § When do I receive my SSG points? o SSG points are earned and available once travel is completed. § What happens if I redeem my SSG points for my free week, how are those points earned? o SSG points are not earned on the SSG Free Week. As always, feel free to contact us if you have any questions about this program, the changes implemented or just want some general information on these resort chains themselves.